Holography is the only way that enables 3D Displays with real full depth information without any accommodation-convergence conflict. As light is more efficiently managed than in conventional backlit displays, compact and energy efficient holographic systems are highly attractive for direct view displays of any size, Head Mounted Displays (HMD) and Heads Up Displays (HUD). 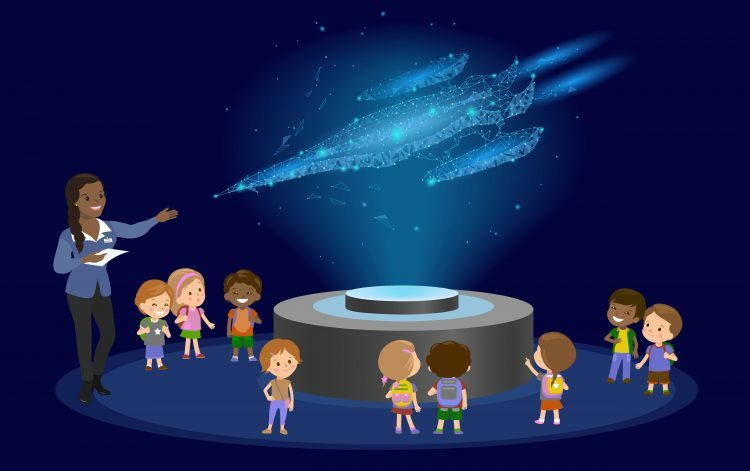 SeeReal’s proprietary encoding method elegantly solves the difficulties which have inhibited the implementation of real-time holographic displays. It is based on the superimposition of multiple small Sub-Holograms (SH). Number, size and position of the SH are optimized for the visibility from a small Viewing Window (VW) covering the eye of the observer. This unique approach greatly reduces the necessary total pixel count and computation efforts and efficiently directs the emitted light towards the observer. Real-time tracking of the observer’s eye provides the actual VW position and allows observers to roam freely. The talk will outline the basic concept and advantages of Sub-Hologram encoding and review the recent development of a “direct view” prototype based on a dedicated 14 inch phase modulating TFT Display. Furthermore, the benefits of using holography for any augmented and virtual reality applications will be discussed.